Society of the United States (HSUS) reported today that Keiko, the orca whale, died today in the Taknes fjord, Norway, in the company of staff members who have been caring for him there. Keiko’s veterinarian believes that acute pneumonia is the most likely cause of death, though he also cited that Keiko was the second oldest male orca whale ever to have been in captivity. The two organizations managing Keiko’s reintroduction effort expressed sadness at Keiko’s death while also heralding his amazing journey. Yesterday, Keiko exhibited signs of lethargy and lack of appetite. Consultation was continuous between his caretakers and Dr. Cornell. His behavior was still abnormal this morning and his respiratory rate was irregular, but, as is often the case with whales and dolphins in human care, these were advanced signs of his condition. 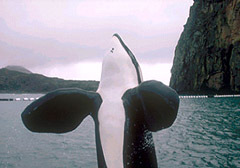 With little warning, Keiko beached himself and died in the early evening local time. 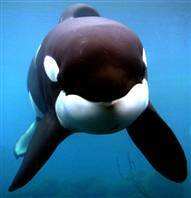 A decade ago, Keiko was featured in the Hollywood movie, Free Willy, prompting a worldwide effort to rescue him from poor health, in an attempt to allow him to be the first orca whale ever returned to the wild. In 1996 Keiko was flown aboard a United Parcel Service plane to a new rehabilitation facility in Newport, Oregon. There he was returned to health and trained in the skills necessary to be a wild whale. 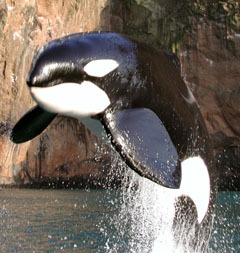 In late 1998, Keiko was flown in a U.S. Air Force jet to a sea-pen in Iceland. In the summer of 2002, Keiko joined the company of wild whales and swam nearly 1000 miles to the Norwegian coast. 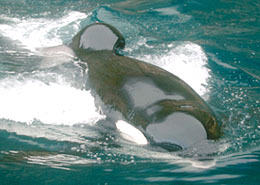 Since then, Keiko has been cared for in a fjord where he was free to come and go by his own choice. Keiko inspired millions of children to get involved in following his amazing odyssey and helping other whales. Keiko’s journey also inspired a massive educational effort around the world and formed the basis for several scientific studies. Thousands of people traveled to Norway in the past year to see Keiko, continuing his legacy as the most famous whale in the world. More information about Keiko and a timeline of his amazing journey to freedom can be found on The HSUS web site at www.hsus.org.